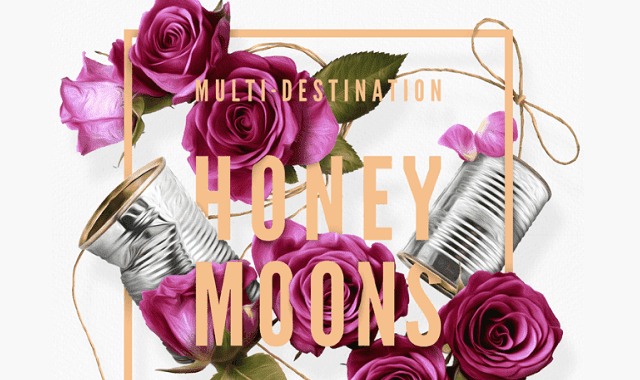 The 8 Most Romantic Multi-Destination Honeymoons #Infographic ~ Visualistan '+g+"
It is a truth universally acknowledged that a honeymoon is every bit as important, romantic (and expensive) as the wedding day itself. Far from the weekend by the UK seaside that used to mark postnuptial celebrations, today’s newlyweds are travelling further, being more adventurous and staying away for longer than ever before. Honeymoons are transforming into wild adventures, with ‘multi-centre’ or ‘multi-destination’ trips emerging as an especially prominent trend. Instead of booking a getaway by the sea, or a more compact city break, couples are increasingly looking to do it all - combining the above and more in a grand statement of love and wanderlust. Whether it’s an island hopping extravaganza, a trip across a continent or visiting some of the world’s most famous wonders, honeymoons are set to get seriously upgraded in 2017. To provide some inspirational ideas and potential routes that are sure to create the postnuptial trip of a lifetime, travel comparison site dealchecker have put together a collection of itineraries, suitable for all times of years and all budgets, that will transform the ‘big day’ into the ‘big trip’. From Europe to South America, Oceania to Africa, here’s a collection of honeymoons that’ll leave all others catching the bouquet.